When you think of August in Indiana, "green and lush" is usually not what comes to mind. However, this year due to significant rainfall this summer, we have lots of green! What better way to enjoy the scenery then to go for a run/walk on one of Hendricks County&apos;s paved trails. Does your family want to come along while you run? No problem, most of the trails are in/near parks that have plenty of kid-friendly amenities. The White Lick Creek Trail in Plainfield begins at Franklin Park where it meets up with the Vandalia Trail and runs southward to Hummel Park and beyond. It is 3.3 miles. However, if you add in various side paths located within the parks and surrounding areas, then it&apos;s 15-plus miles. While training for a half marathon, I spent many Saturday mornings running along this scenic trail. It&apos;s suitable for long as well as short run/walks and is popular among cyclists and skaters. This is by far my favorite "long run" trail because of the sites and sounds that surround it! It crosses and parallels White Lick Creek, so you see tributary rivers and streams and wood and steel bridges. 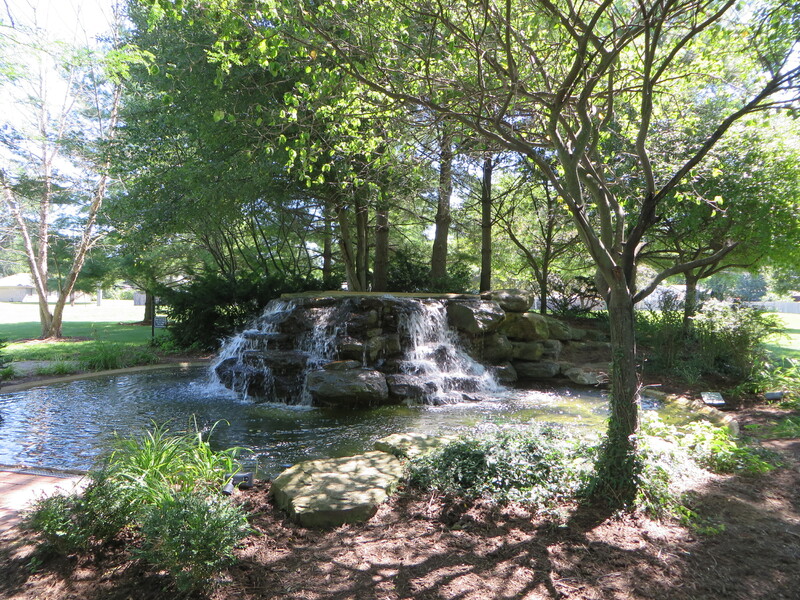 The trail passes through beautiful, well-maintained city parks such as Friendship Gardens, Swinford, and Hummel. The trail starts at Franklin Park. Restrooms, a water fountain, and parking are centrally located within the park near the baseball fields. Additional parking is available near the entrance and playgrounds. At the north end of the park, you will see a trailhead, cross a bridge, and run a short distance (.10 mile) to another trailhead. Next, you can either head west on the Vandalia trail or south on the White Lick Creek Trail. The White Lick Creek trail will take you past the Plainfield Pedestrian bridge (.5 mile mark) and then to Friendship Gardens (1.1 mile mark). A historic iron truss bridge is located here, as well as, a waterfall, gazebos, and lovely picnic areas. If you want to venture further, run south on Center Sreet where you&apos;ll pass Swinford Park and Anderson Skate Park (1.6 mile mark), then you will come to Hummel Park (2.14 mile mark), and the trail ends just south of Hadley Road (3.3 mile mark). Hummel Park in Plainfield offers a 1.1-mile track around the perimeter with every 1/10 of a mile marked. Restrooms and water fountains are located at the 1/4 mile marker. The Splash Pad is open during the summer months, so jump in if you need to cool off! Nearby is a very large playground to be enjoyed by children of all ages! A trailhead is also located close to the 1/4 mile marker. You cross a bridge with amazing views of the creek then can either run on the Cottonwood Path (.5 miles) or the Blue Heron Path (just over 2 miles). The Blue Heron Path runs along the Blue Heron Lake, takes you around residential neighborhoods, and back into the park. And yes, you might catch a glimpse of blue herons and other wildlife! For more details, check out a previous post regarding Hummel Park. The Vandalia Rail Trail is 4.5 miles and runs through Plainfield along the abandoned Vandalia Railroad. It begins east near the intersection of Perry and Smith roads and extends west to Martin Road (500E).This trail has some inclines, distance markers every .5 mile, and limited road intersections. 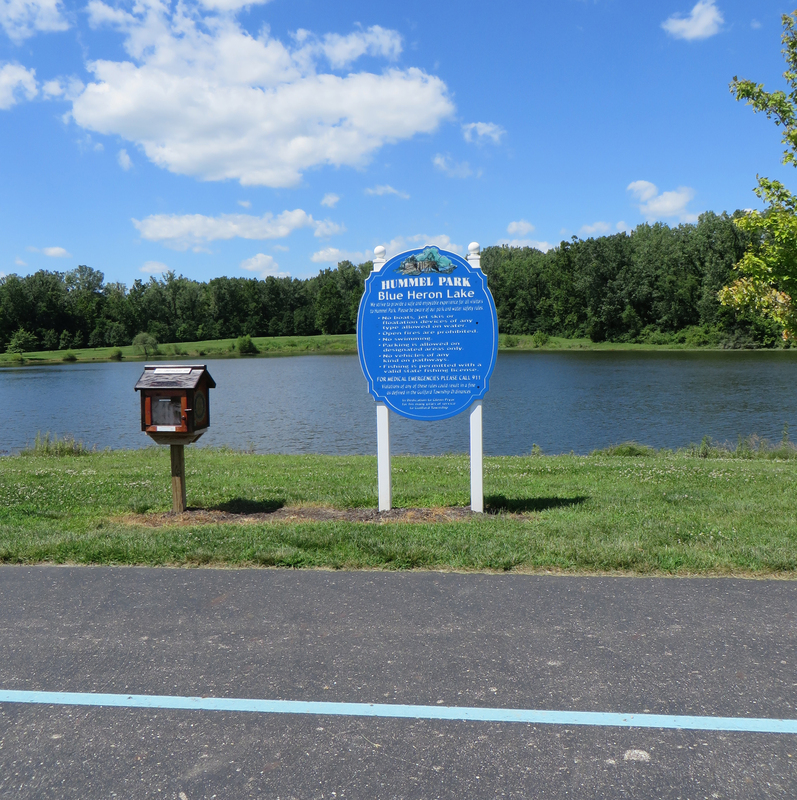 Five different "legs" make up the Vandalia Trail including Martin Road to Saratoga Parkway (.95 miles), Saratoga Parkway to Vestal Road (.50 miles), Vestal Road to Franklin Park (.47 miles), Franklin Park to Dan Jones Road (1.80) and Dan Jones to Perry roads (.78 miles). As mentioned above, parking, restrooms, and water fountains are centrally located in Frankiin Park. The recently renamed Richard A. Carlucci Recreation and Aquatic Center is just off the trail near Vestal Road, which also has parking. I like to park in Franklin Park and run on both the White Lick Creek and Vandalia trails. I run west to Saratoga Parkway (wooded areas plus residential neighborhoods), head back east and take the White Lick Creek Trail to Friendship Gardens, and then head back north to Franklin Park. If you want to continue on Vandalia Trail, you&apos;ll run east through older neighborhoods, pass Bob Ward Park and come to a minor trailhead. I run to Dan Jones Road, which is my "turn-around" point, and I head back to the park from there. That&apos;s around 8 miles but there are plenty of options to add to that mileage if you are so inclined. Avon Town Hall Park is located in Avon just west of the Ind. 267 and U.S. 36 intersection. Three paved trails are interconnected within the park with a total of 1.5 miles (trail 1=.48, trail 2=.52, trail 3=.5). The trails do have a few inclines and are suitable for 1.5- to 6-mile runs/walks. There are so many activities to observe while running through this park....fishing, disc golf, kite flying and sometimes pick-up football games. A 9-acre fishing lake, bridges, an old horse farm and the Avon Town Hall add to the natural ambiance of the park. Longer runs are certainly possible especially if you run through the surrounding neighborhoods. It tacks on about 3 miles. There are two entrances into Avon Town Hall Park. One is accessible from the Stratford of Avon subdivision. A playground for ages 2-6 is located next to the parking lot. The second one is accessible from U.S. 36. Restroom and water fountains are located here, as well as, a playground for children ages 5-12. 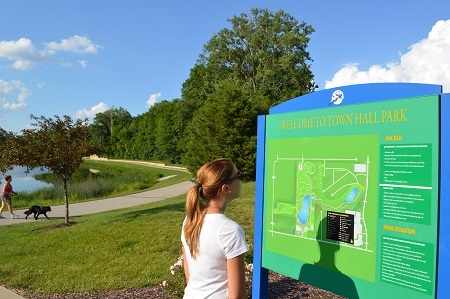 Williams Park of Brownsburg is located near the intersection of Tilden Road and Locust Lane. The paved trail is a .78 mile loop around the perimeter of the park. It is ideal for shorter runs/walks. Since it&apos;s a smaller loop, many people walk their dogs or utilize jogging strollers. If you are transitioning from walking to running, this trail is perfect for alternating between running and walking laps (or shorter distances). A few notable sites are located at the east end the park, the Veterans Memorial Garden and the Gazebo Pavilion. Restroom facilities are centrally located within the park near the very popular "Blast Off" playground. Interested in a short nature hike? Maple Ridge Nature Trail is .79 miles and begins in the wooded area toward the west end. Currently, a new water playground called the "Watermill" is under construction and hopefully finished soon. A fantastic way to cool off after a run on a hot day! As you can see, Hendricks County offers many scenic and well-maintained paved trails. No matter if you are running or walking, going 1 mile or 10, a beginner or seasoned runner, you can find the perfect trail!